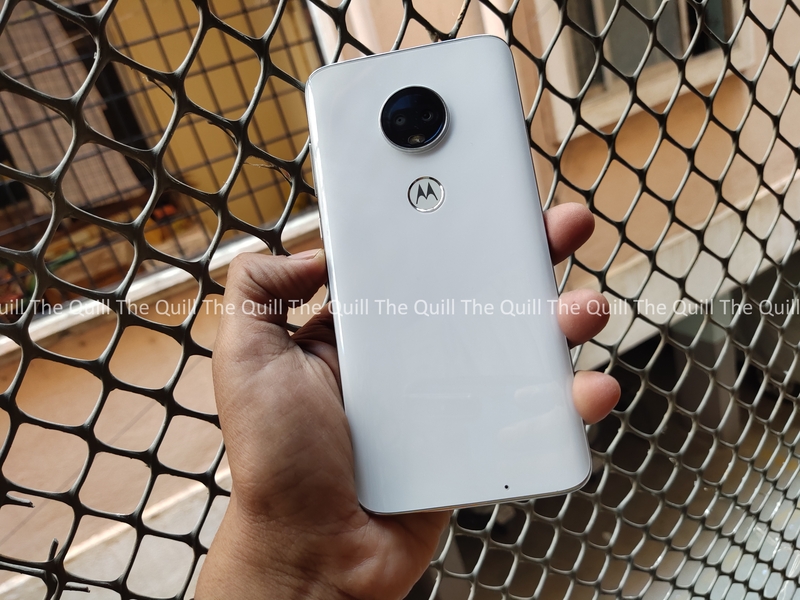 Motorola surprised me last year when the Moto G6 appeared sporting a clearly premium ‘3D glass’-backed design and that trait has been carried over to this year’s Moto G7. There’s a little less flash this time around, however, with a more understated surface finish and a very subtle reflective pattern around the main camera array. The G7 isn’t water resistant like more premium handsets on the market but like the other devices in Motorola’s lineup, it has a P2i hydrophobic treatment and a water-repellent design so that light showers or spilt drinks needn’t give you nightmares or worries. But keep in mind that it is not water resistant and handle carefully. 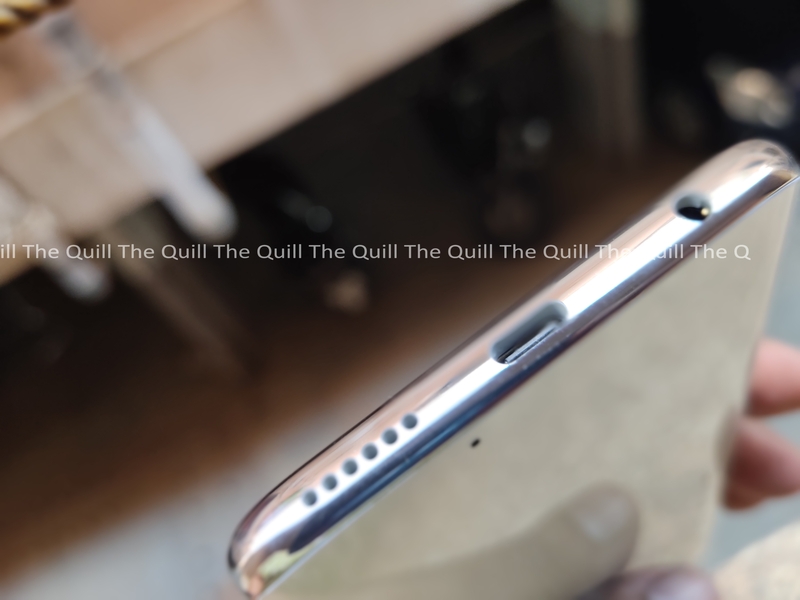 Coming back to crafting, Gorilla Glass 3 is in front and back of the phone, the volume rocker and power buttons are on the right edge and there’s a 3.5mm headphone jack and USB Type-C charger port on the bottom. 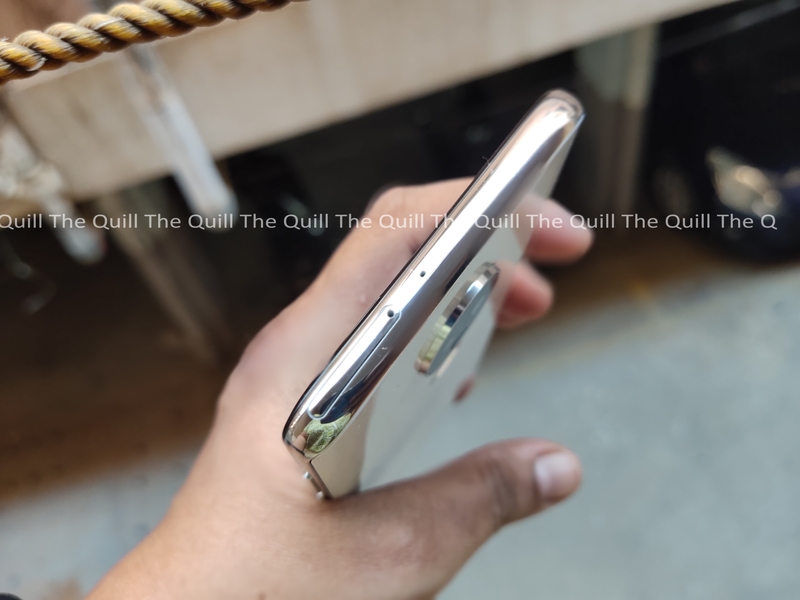 The top edge plays host to the nano-SIM card slot, which is also where you pop in your Micro SD card if you want to expand the phone’s 64GB of internal storage. The headphone jack is a welcome feature that’s becoming increasingly scarce, even in the more affordable space that the G7 inhabits. This is great. I love the fact that there is USB Type-C support and hence faster charging and data transfers. When playing media without headphones, the phone supports only mono audio from this base speaker; unlike some handsets, the earpiece doesn’t double as a means of stereo output. But it is loud and crisp enough to serve your needs and can fill a room with sound with the right settings. 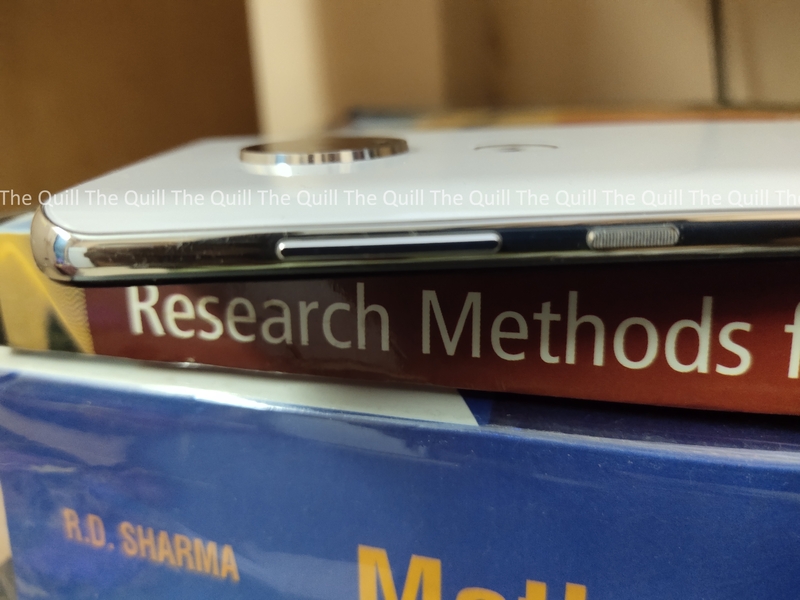 The Moto G7 confirms to modern smartphone trends with a 6.2-inch screen that has rounded corners and a 19:9 aspect ratio; giving it a very decent 81.4 percent screen-to-body ratio. 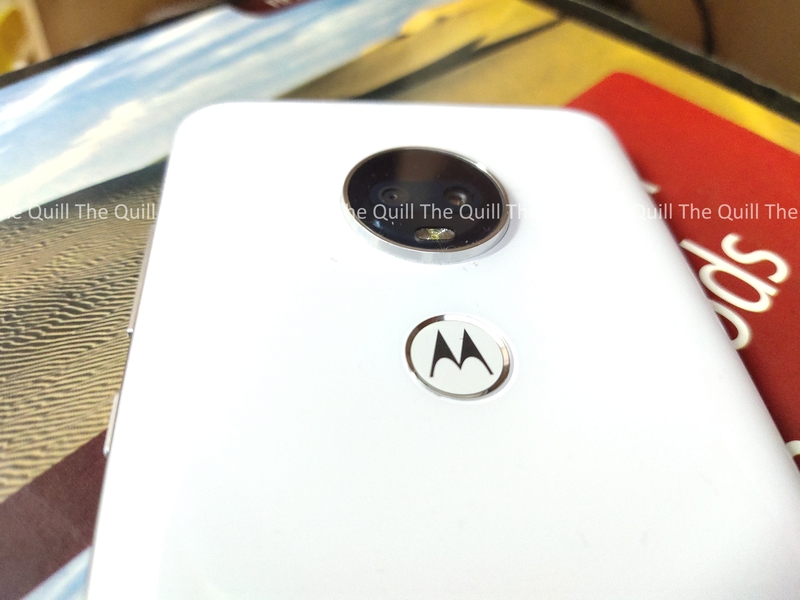 There’s a considerable chin at the bottom and Motorola has filled it with their logo to give it a stylish touch. The internals have seen an upgrade this year, with Motorola using the new Qualcomm Snapdragon 632 processor and the fingerprint reader has moved from the front, below the screen, to the rear. This is nice as the new position of the fingerprint scanner is comfortable and very intuitive to use. Adds to the ergonomics of the device. The phone has 4GB RAM and 64 GB internal storage with a dedicated micro SD slot for storage expansion. In my books, the best new feature from a design perspective on this year’s Moto G7 is its edge-to-edge display. 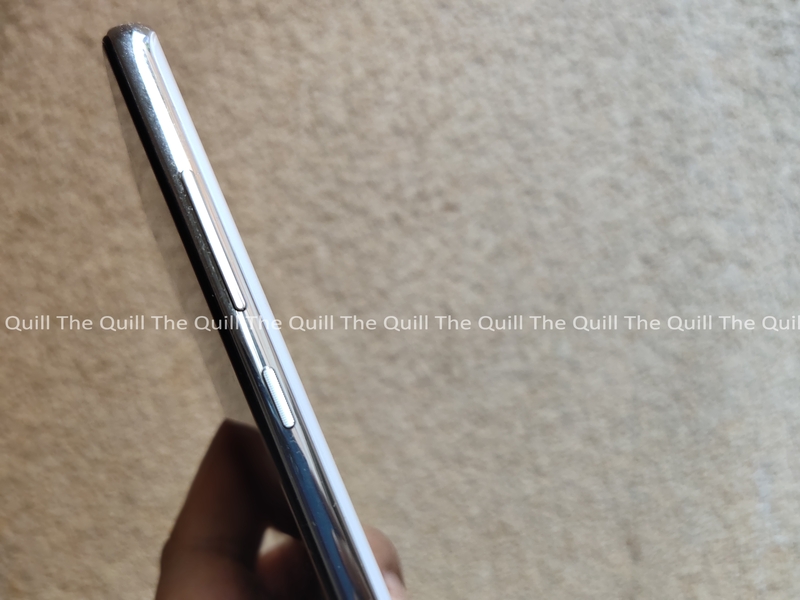 The display fills most of the front of the phone and ensures that despite being 0.5 inch larger than last year, the handset itself isn’t much bulkier; it’s perhaps half a centimeter taller and a few millimeters wider but that’s about all. It really is a bigger screen in a smaller phone. There is a drop notch in the front the houses the front camera and it is well thought out and designed. I like it over the larger notches in vogue now. The Moto G7’s main camera is made of a 12-megapixel primary sensor and a 5-megapixel depth sensor. They’re used effectively, with the G7’s various creative shooting modes using that additional depth data to cut out a subject clearly so that they can be superimposed upon a backdrop, for portrait-style shooting or for AR stickers. Performance-wise the phone does not disappoint. It is not a heavyweight but does very well in all the real usage scenarios. I tried a lot od heavy apps running in parallel and even some gaming. The phone did not lag or stutter. It was able to deliver smooth performance consistently. Nothing to complain about in this department. Its 15W TurboPowerTM charger gives you 9 hours of power in just 15 minutes and all-day battery helps you power through the day. The battery is rated at 3000 mAH and is able to run a whole day on a single charge. Good to have in practical usage. 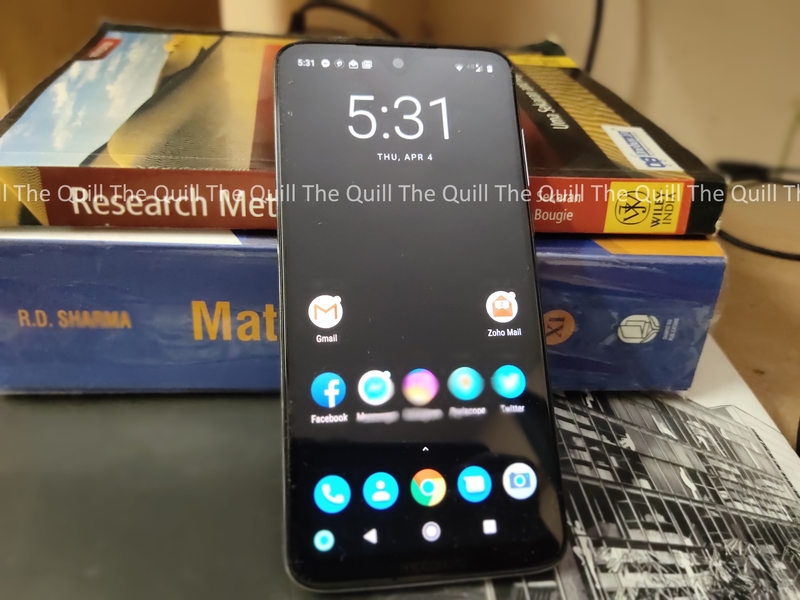 In conclusion, as far as first impressions go, the phone has a good design and delivers consistently neat performance. Full review coming soon.